The magazine Computerworld awarded me a gold medal in June 2012. The magazine Computerworld is the largest weekly IT magazine for professionals in the U.S. 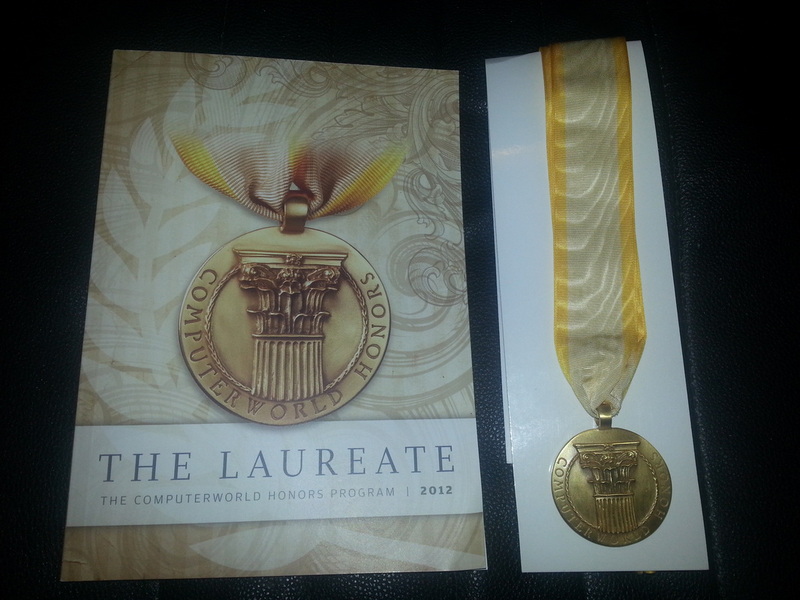 I was among 200 people who were selected for the Computerworld Honors, from a total of over 500 applicants in 25 countries. This is due to a program that I developed for the USPS, DECOPRA (link to online description at Computerworld's website), which is in use among several of the US Postal Service's Network Distribution Centers (NDCs - extremely large facilities, which are several acres under a roof and handle all the standard and Priority parcels, bulk business mail, and standard letters).